MISSOULA, Mont.—A key wildlife landscape previously threatened by subdivision in northwest Montana is now permanently protected and in the public’s hands thanks to a collaborative effort between the Rocky Mountain Elk Foundation, a conservation-minded family and the U.S. Forest Service (USFS). The Holland Lake project is one of the first to receive 2017 funding from the Land and Water Conservation Fund. 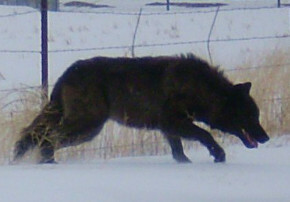 Dear Montana Wolf Hunter: Do You Have a Strong Emotional Bond With Wolves? Question 12 wants to know if Montana Resident Wolf Hunters think “the rights of wolves” are more important than the interests of humans. Doesn’t that tell us a lot of where the perspective on wildlife and animals is and where it is going? I need to ask, why you would ask a Montana Resident Wolf Hunter, whose goal, I am to assume, is to kill a wolf….or five, would be interested in “the rights of wolves” or other socially retarded, emotional, clap-trap, insane issues as wolf rights and emotional bonds, among others? But it gets worse. 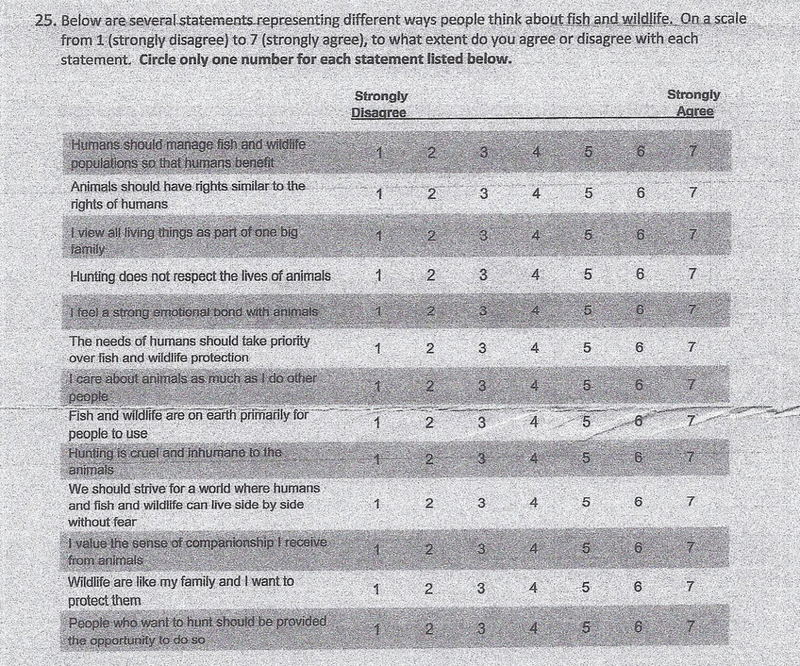 Question 25 wants to know if Montana Resident Wolf Hunters think wolves should have the same rights as people, hunting is disrespectful to animals, have a “strong emotional bond,” and the list is nauseating to read. Only a mentally ill quack would think up such questions. Yesterday in a radio interview I talked of how our society has become so perverse toward animals, placing them at an existence level higher than man, that it was an abomination unto Yehwah. The idea that any managers of wildlife would ask such insane and perverse questions says a lot about the status of our mentally deranged society and drives home the reality that hunting, trapping and fishing are rapidly headed toward its end. Don’t kid yourself. There is no hope. In my opinion, this survey was either sent to a random sampling of Montana residents, disguised as a survey for Montana Resident Wolf Hunters, whose objective is to be able to publish results of this survey that contain mostly or all non hunting residents to manipulate public opinion. 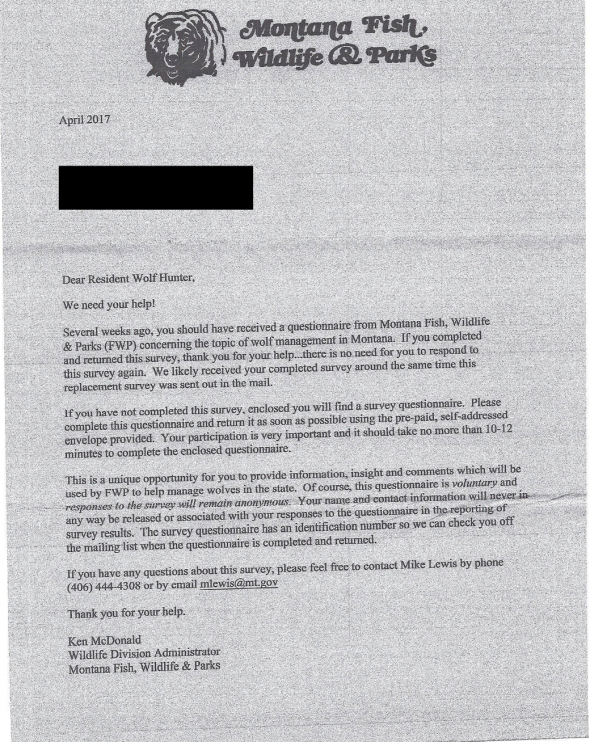 Or, they are sending this survey only to Montana Resident Wolf Hunters, and as a reflection of the positions, policies and values of the Montana Fish, Wildlife and Parks, are attempting to continue the brainwashing of as many hunters as they can to effect the gradual, perverse changes that they intend for all the rest of us. Psalm 36: 1 Wickedness saith to the wicked man,even in mine heart, that there is no fear of God before his eyes. 2 For he flattereth himself in his own eyes, while his iniquity is found worthy to be hated. 3 The words of his mouth are iniquity and deceit: he hath left off to understand and to do good. 4 He imagineth mischief upon his bed: he setteth himself upon a way, that is not good, and doth not abhor evil. 5 Thy mercy, O Lord, reacheth unto the heavens, and thy faithfulness unto the clouds. 6 Thy righteousness is like the mighty mountains: thy judgments are like a great deep: thou Lord, dost save man and beast. 7 How excellent is thy mercy, O God! therefore the children of men trust under the shadow of thy wings. 8 They shall be satisfied with the fatness of thine house, and thou shalt give them drink out of the river of thy pleasures. 9 For with thee is the well of life, and in thy light shall we see light. 10 Extend thy loving-kindness unto them that know thee, and thy righteousness unto them that are upright in heart. 11 Let not the foot of pride come against me, and let not the hand of the wicked men move me. 12 There they are fallen that work iniquity: they are cast down, and shall not be able to rise.